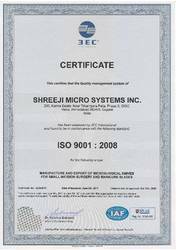 Established in the year 2000, we, “Shreeji Micro Systems Inc.”, are an ISO 13485 and CE 2265 certified accredited firm, engaged in manufacturing, supplying, wholesaling and exporting a wide range of Surgical Instruments. All our products are designed and manufactured using optimum quality raw material with advanced machines and technologies. 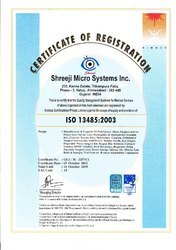 Our offered products find their applications in laboratories, medical fraternity and hospitals. These are appreciated for their hygienic value, high durability and low maintenance cost. 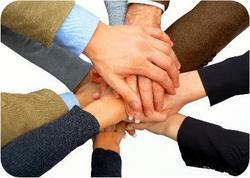 A vast infrastructure facility is developed by us for having streamlined execution of all the business operations. A team of researchers bring innovations to the offered product-line. Moreover, our team of interactive personnel keeps in close touch with the esteemed clients to know their exact needs and serve them products accordingly. Owing to the sound infrastructure facility and perfect pool of professionals, we have been able to spread our wings across the markets of Australia/NZ, Indian Subcontinent, Caribbean and many more. 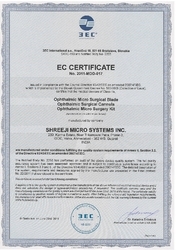 Further, we have garnered a huge clientèle in our list such as Marce Optic, South Africa, Medical Instruments, Delhi and Earth Medical Pharma, Philipines. For meeting the requirements of international customers, we export 40-60% of our stock. Under the visionary guidance of our mentor, 'Mr. 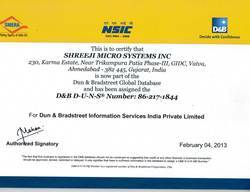 Anil Chauhan', we have occupied a commendable position for ourselves in this highly competitive market. His brilliant managerial skills, detailed industry knowledge and vibrant leadership qualities have enabled us to gain the trust of a large number of patrons.